"Building on Utzon’s own legacy of sustainable design, the Green Star rating is an important milestone on what will be a continuous journey." As one of the world’s busiest performing arts spaces, the Sydney Opera House is no stranger to the sound of applause. But this time, the accolades aren’t for the actors, but for the building’s sustainability achievements. In 2015, the Opera House was awarded a 4 Star Green Star – Performance rating, joining a handful of World Heritage-listed buildings to have achieved green certification globally. When designing the Sydney Opera House more than 40 years ago, Jørn Utzon was inspired by nature and integrated many features now recognised as pioneering sustainable design. An innovative seawater cooling system – considered ahead of its time – still powers the Opera House’s main heating and air-conditioning, while an early interpretation of the ‘chilled ceiling’ design remains in the Drama Theatre today to help control the venue’s air temperature. 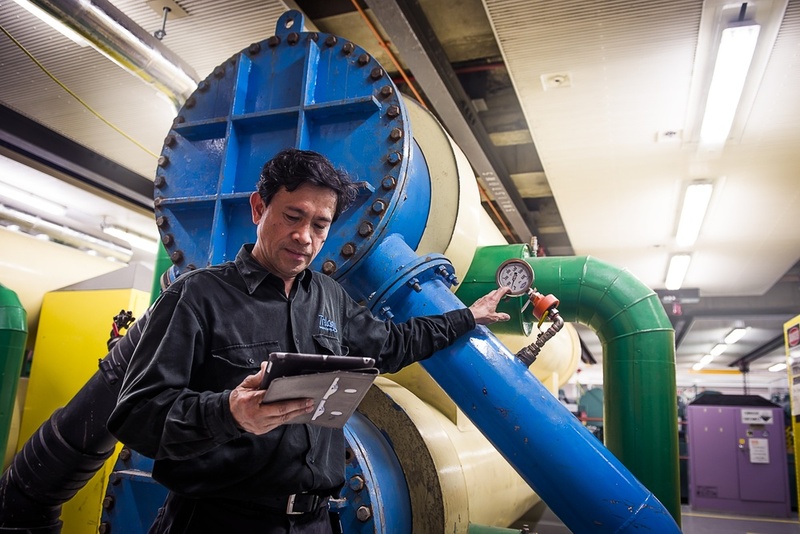 This technology has provided a great foundation for the sustainability improvements that have followed, including a two-year program of lighting upgrades in the Concert Hall. Old fixtures and globes have been replaced with energy-efficient LED alternatives managed by a sophisticated control system. His lighting upgrade project alone has reduced energy consumption within the Concert Hall by 75 per cent, and is saving the venue around $70,000 per year in electricity costs. The GBCA’s Chief Executive Officer, Romilly Madew, says that the Opera House’s certification sends a signal to the market that older buildings can go green.“The general consensus has been that it’s ‘too hard’ to improve the sustainability of older buildings. The Sydney Opera House has laid down the gauntlet for the property industry with a pragmatic, practical approach which shows even the most iconic, historic and challenging buildings can be high-performing, energy efficient and sustainable. If you can green the Opera House, you can green anything,” Ms Madew says. As an acclaimed venue at which world-class performers entertain hundreds and thousands of people at a time, the quality of the Opera House’s indoor environment has been a key focus of efforts to improve sustainability. A new cleaning regime is helping to keep volatile organic compounds (VOCs) out of the air, with simple natural cleaning products replacing toxic alternatives. For example, olive oil is used to clean and care for the iconic bronze handrails, while bicarbonate of soda keeps concrete free of stains. In the Concert Hall, a temperature of exactly 22.5 degrees celcius is maintained for the Sydney Symphony Orchestra’s musicians to enjoy optimum instrumental performance, while zoning of the building’s various bars, restaurants, offices and auditoriums allow internal temperature conditions to be actively managed in response to use. “As a non-traditional building that enjoys multiple heritage listings, we are constantly challenged to find innovative ways to prioritise sustainability while keeping the building looking and working as it should. Solutions like using olive oil for bronze restoration are testament to the creativity of our staff and their commitment to greening the House,” Environmental Sustainability Manager Naomi Martin says. The Opera House is proud of its Reconciliation Action Plan, a first for a performing arts centre, that has been awarded Green Star ‘Innovation’ points. The plan focuses on bu­ilding relationships, and includes the appointment of a Head of Indigenous Programming, hosting a range of Indigenous arts festivals and workshops, celebrating NAIDOC week and running indigenous history tours. The Opera House has developed protocols to guide staff on culturally-respectful behaviours and signed a covenant to bring staffing into line with the Australian Bureau of Statistics’ estimation that two per cent of Australia’s total population identifies as being of Indigenous. “Our RAP is a firm commitment to embrace and celebrate the culture of our First Peoples and to ensure that they are central to the Opera House. By expanding Aboriginal and Torres Strait Islander artistic content and audience participation, while increasing education and employment opportunities, we are helping to raise cultural awareness in the arts and more widely,” says Martin. The sustainability initiatives that have earned the Sydney Opera House its certification are certainly cause for celebration. 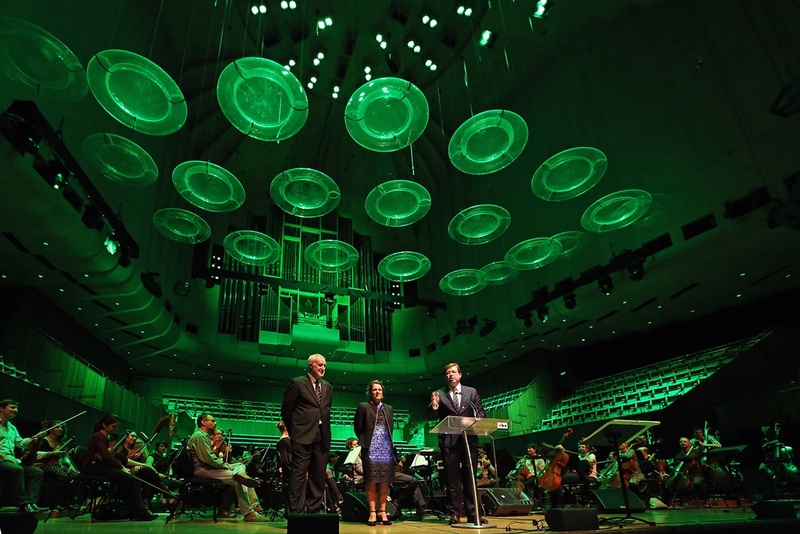 One of the best things about the achievement of a 4 Star Green Star – Performance rating is, however, the opportunity it provides to do even better.In 2013, the Opera House launched into a Decade of Renewal to prepare it for future generations of audiences, artists and performers. Continual improvement of the Opera House’s operations and sustainability credentials are a vital part of this work.“Building on Utzon’s own legacy of sustainable design, the Green Star rating is an important milestone on what will be a continuous journey,” says Sydney Opera House Director of Building, Greg McTaggart. Sydney Opera House is now targeting a 5 Star Green Star - Performance rating part of its Environmental Sustainability Plan (ESP) 2017-19. This is the Sydney Opera House's third ESP.